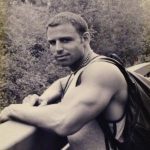 I’ve been working in the Fitness Industry for 26 years, and each year I have watched so many people complicate their approach to being fit with an emphasis on numbers. The numbers that I’m referring to are scale measurements, calories, macros, sets, reps, steps, and any part of fitness that can be deduced into a mathematical equation. In my early years in the field, I began to realize that I was complicating my own personal nutrition with counting calories, protein, carbohydrates, and fats, as well as milligrams of vitamins, minerals, and amino acids. I decided to create an easier way that would keep me in range of these numbers without having to calculate everything each day. The structure of my meal plan, Remedy Recipes, was the outcome of this decision. After carefully reviewing the numbers, I realized that by keeping to certain portions rather than calculating macros, the amounts stayed within a range that would create the same result. The overthinking of numbers is the main reason why I created the meal plan that I did, adhering only to portion size and structure. The structure and the relative times of meals mean a great deal more than calculating every single food particle that you eat. It all turns out to be within a certain range, and typically the same types of food groups on a daily basis are consumed. So, to me, structure is more important for overall fitness. The same concept is true for those who overthink the steps that they walk on a daily basis. Now, I’m all for people being active and moving, but the total steps in a day does not equal cardiovascular exercise performed in a controlled time frame at a certain pace. So, it’s not the quantity, it’s the quality. The same is true for charting workouts. I often see people taking time and intensity out of their workout, in between sets to track what they’re doing. It’s fine to chart what you’ve done, but I recommend charting it after the workout so that your focus and intensity is on the movements that you are doing. Yet another number that so many people obsess over is scale weight. Some people weigh in several times per day. This does nothing but frustrate the person. Weight in regards to the human body is composed of muscle, bone, organs, body fat, and most of all, water. For those who weigh themselves daily, the fluctuation that most people see on the scale is a difference in water. I prefer to weigh people in monthly, but for those who must weigh more frequently, I recommend weighing in once per week, same day, same time of day. Also take note that unless the mechanisms within your home scale are metal and the scale was manufactured in the 1940’s-1950’s, it’s most likely going to have plastic mechanisms inside that do not last very long. That would suggest that most home scales are inaccurate. A doctor’s scale, or the scale that I have in my office, a Detecto Scale can be calibrated to be certain that the weight is accurate. It also has metal mechanisms which give lasting accuracy. These are simple observations that I have made over the years, and the reason that I bring them up is to address them in a way that will help you to realize and break free from the frustration of time-consuming calculations and obsessions over numbers. Please don’t misunderstand. It’s fine to make all the calculations if that is what you would prefer to do. I’m just letting you know that there’s another way, and it’s worked successfully for myself and my clients. Keep within a range, be consistent, exercise with focus and intensity. Put your time into weighing food and measuring food rather than counting the calories. The results will be the same, but without the frustration, without the time it takes to count, and without the weight of the world on your shoulders. I hope you had a productive, reflective, and replenishing Lent. Have a blessed Passover, & a Happy Easter.